Congratulations to our Eastern Illinois chapter members. 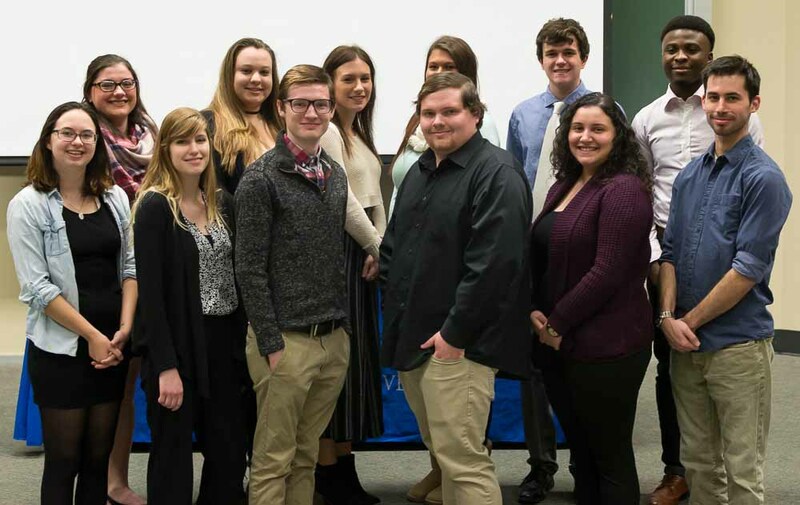 On Tuesday, December 6, they inducted 12 new members, along with two honorary members. In January, two students who could not attend will be inducted. The chapter represents students from The Daily Eastern News, the Warbler yearbook, News Watch and HitMix 88.9. Members are Madison Antrim, Allyson Bane, Mercury Bowen, Jordan Boyer, JJ Bullock, Meghan Cebula, AJ Fournier, Jada Huddlestun, Melissa Jabek, Travis Moody, Thomas O’Connor, Jaynell Perera, Colin Roberts, Brooke Schwartz and Toluwalase Solomon. Photo by SCJ chapter adviser Brian Poulter.